Home › Investing › How Does A Fed Rate Hike Affect You? How Does A Fed Rate Hike Affect You? When you borrow money to buy a home, a car, or to pay for tuition expenses, your monthly repayment amount may be affected when interest rates go up. Even if you have no loans but simply own a portfolio of stocks and bonds, interest rate hikes can affect your net worth. And if you have banks savings accounts or certificates of deposit, rate hikes may positively affect the interest you earn monthly. What Is A Fed Rate Hike? How Does A Fed Rate Hike Affect Your Portfolio? Should I Change My Asset Allocation After A Fed Rate Hike? How Does A Fed Rate Hike Affect My Mortgage? How Does A Fed Rate Hike Affect My Bank Savings Accounts? How Does A Fed Rate Hike Affect My Credit Card Payments? When interest rates rise or fall, it is the Federal Reserve, the central bank of the U.S., that controls their level. 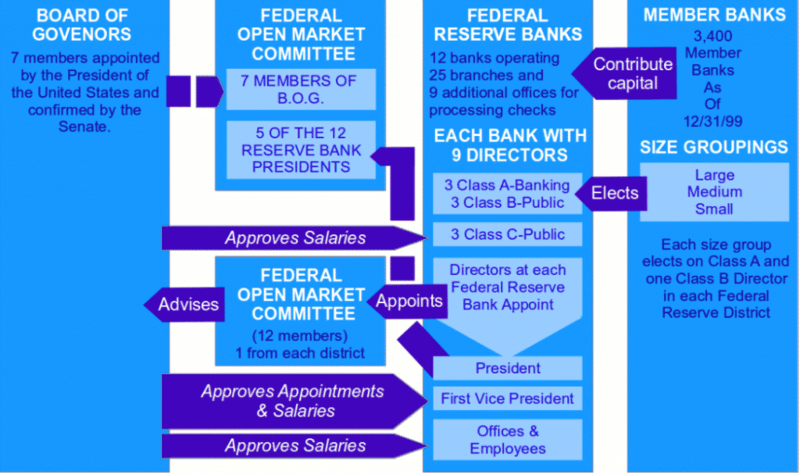 The idea behind the Federal Reserve System when it was established in 1913 was to create central control of the monetary system in order to avoid future crises following the panic of 1907. When the economy is weak, the Fed will lower rates and when the economy is strong, the Fed hikes rates to slow it down. When interest rates are low, companies borrow more because they believe they can generate higher returns on capital from investing borrowed money in their businesses than they pay in interest costs. Low interest rates generally stimulate individuals to borrow more too, which results in spikes in purchases of homes, autos, and other consumer goods. The investment by companies and spending by consumers when interest rates are low stimulates economic growth and expansion, which the Federal Reserve board of governors monitors carefully. If the economy is perceived to be overheating, the Fed will look to cool it down by increasing borrowing costs through a Fed rate hike, which increases the federal funds rate – the interest rate that banks and credit unions lend reserve balances to each other overnight. It is widely believed that this means when a Fed rate hike occurs, it is best to adopt a cautious economic outlook because the Fed is trying to slow the economy down. The general rule of thumb is that the stock market rises when interest rates fall and the stock market falls when interest rates rise. But research studies have shown that many exceptions to this rule have occurred over the course of history. Sometimes, the stock market has fallen when interest rates have fallen and sometimes the stock market has risen when interest rates have risen. In the short-term, the generally accepted belief that rising interest rates is bad for the stock market often causes jitters. But over the intermediate term, different sectors react differently. For example, foreign stocks will react not only to interest rate hikes but also to currency exchange rate swings. Dividend paying stocks may react differently to small cap stocks, and blue chips may react differently to index funds. History is filled with examples of the market moving in one direction short-term only to reverse the opposite way in the intermediate term, so it is generally wise not to react impulsively to any immediate stock market movements after a Fed rate hike. Stock market volatility can trigger investors to react irrationally short-term. Fear of loss causes many investors to panic and sell their holdings when staying the course and holding for the long-term has historically may be a more profitable path. To highlight the power of a buy-and-hold strategy, think about two portfolios that are growing at 15% annually for 60 years. Both portfolios are subject to taxation of 30% for short-term gains and 20% for long-term capital gains. At the end of the 60 year period, a buy-and-hold investor who doesn’t sell along the way makes over 6x more than an investor who sells every year to “bank” the 15% annual gains. That 6x differential may not sound like a big difference until you perform the calculations and discover that the investor selling annually to lock in gains turns $1,000 into $615,757 whereas the buy-and-hold investor, who only sells at the end of the 60 year period, turns the same $1,000 into $3,812,172. If you have a longer time horizon, and stock market volatility is not a concern, a stock market crash could be an opportunity to buy stocks at a discount. As billionaire investor Warren Buffett has said in the past, if you were to walk into a department store and see Sale signs posted, you would view them positively as an opportunity to buy goods for less. When the stock market goes “on sale”, investors tend to react oppositely and often panic. But a patient investor with a long time horizon can use the opportunity to buy value stocks at even better prices for even greater long term gains. The “sleep test” is an anecdotal personal benchmark you can use if you are concerned about stock market volatility. If you are finding it hard to sleep peacefully because you are concerned about losing value in your retirement accounts, such as 401(k)s or Roth IRAs, then switching your allocation up to favor more bonds is a way to reduce your overall portfolio’s fluctuations. Bonds generally decline in price when interest rates rise but bonds are generally regarded as a less volatile asset class than equities, so even if bond prices decline the amount may be less than the amount equities fall by. If you need the money to pay for living expenses in the next 5-10 years, and the swings in bond prices also feel scary, then allocating to cash is not a bad idea. The returns will be lower than equities or bonds, but so too will the risks be lower. If you have a fixed rate mortgage, you don’t have to worry about a Fed rate hike because your mortgage payment and rate won’t change. A nice feature of variable rate mortgages is that the interest rate initially offered to home buyers is lower than it is for fixed rate mortgages, but the downside is when interest rates rise, monthly payments goes up and could exceed the original fixed rate level offered. It may not seem like something to be concerned about if the interest you were charged increases by 1% from say 4% to 5%, but that corresponds to a 25% increase! Variable rate mortgage holders often enjoy teaser rates for fixed periods of time, but when they expire, the new payment can come as a shock – especially if interest rates have increased in the intervening period. If you expect rates to increase and you have a variable rate mortgage, consider switching to a fixed rate mortgage. Any increases in short-term interest rates are passed on directly to borrowers who have home equity lines of credit. Like variable rate mortgage holders, home equity lines of credit borrowers should evaluate the costs and benefits of converting mortgage balances to fixed rate home equity loans when Fed rate hikes are expected. When a Fed rate hike occurs, bank savings accounts and certificates of deposit generally pay more interest. Unlike a home equity line of credit which is affected right away by a Fed rate hike, a savings account doesn’t necessarily pay out more to depositors when interest rates rise. Banks will happily charge you higher rates right away when you borrow from them but they won’t pay you right away when you deposit savings with them. Eventually marketplace competition forces banks to pay depositors more when rivals increase rates on depositor savings accounts, but don’t hold your breath waiting for bigger monthly payouts. If you have squirreled away some of your nest-egg in certificates of deposit (CDs), you will have a similar experience as to the one you have in your savings account – rates will generally rise over time but not by a lot. >> Money Tip: Online banks with lower fixed costs generally pay higher CD rates than brick-and-mortar banks do. Credit card rates will almost certainly increase when a Fed rate hike takes place. The Fed controls the prime rate, which is the benchmark rate that credit card issuers use to set their rates. Credit card companies will inform you when your credit card APR is due to increase, and typically provide you with about 6 weeks notice. >> Watch out: Credit card debt can increase quickly because of the power of compounding interest, so where possible try to lower it by switching to a 0% interest credit card. The business of charging interest on credit card debt is so lucrative that billionaire investors, such as Warren Buffett, hold shares in established credit card companies, including American Express. As shareholders of credit card companies, they benefit from consumer repayments of credit card debt, and you can too. If you own shares of companies like Visa or Mastercard in your investment portfolio, you get to stake a claim of ownership that enables you to benefit – as opposed to suffer from – interest rate hikes passed on to consumers. While credit card companies are directly affected by rising interest rates, other companies, such as Facebook and Twitter, may only be indirectly affected. If you are worried about holding shares in a company when a Fed rate hike is expected, you can look to protect your downside risk by hedging your portfolio with a married put options strategy. Options trading platforms, such as TastyWorks and thinkorswim, make it easy to execute orders to buy married puts that protect stock you own. Plus, if you expect share prices will decline much further, you can even look to short stock. Have you made any changes to your savings, investment or credit card accounts when interest rates changed? Share your financial tips with us below. We would love to hear from you.